With the introduction of the Crimes (Dangerous Driving Offences) Amendment Act 1994 and the cognate Traffic (Negligent Driving Offences) Amendment Act 1994, the New South Wales Parliament recast and sharply increased the maximum penalties for driving offences causing death or serious injury. When these Acts came into effect on 23 December 1994, they replaced penalties which had existed since 1951 when s 52A was first introduced into the Crimes Act. The new legislation was neither a simple amendment to the existing law of culpable driving nor a mere name change (from `culpable’ driving to `dangerous’ driving), but a wholly resettled statement . 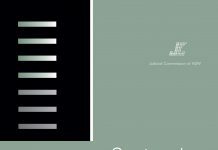 This issue of Sentencing Trends looks at the reforms, particularly as they relate to the offenders sentenced for driving offences which have resulted in the death of a person. 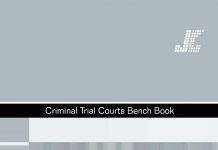 It analyses some sentencing statistics in relation to penalties imposed for the former offence of culpable driving causing death, examines some appeal statistics, sets out the new maximum penalties, and considers the first four appeal cases on sentence heard by the Court of Criminal Appeal under the new regime. Special attention is paid to the youth of the offender as a sentencing factor, as each of the cases heard by the Court of Criminal Appeal concerned an offender who was aged 23 years or less at the date of the offence. 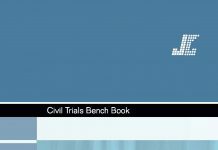 It also reviews other key sentencing principles and suggests that, while the legislation has been amended, the principles previously applied to the former culpable driving offences will continue be relevant and apply to the new offences. 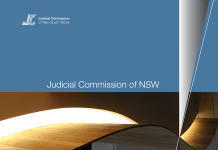 Statistics are drawn from the Judicial Commission’s Judicial Information Research System and relate to cases finalised in the higher courts of New South Wales since January 1990 . Prior to the introduction of the offence of culpable driving in 1951, motorists in New South Wales whose negligent or reckless driving caused death or serious injury were charged with manslaughter, inflicting bodily harm by wanton driving or similar charges. It appears that, because of the felonious nature of the charges, juries were notoriously reluctant to convict offenders . In 1951 Parliament enacted an amendment to the Crimes Act 1900, s 52A, creating the offence of culpable driving. The maximum sentence for the offence causing death was imprisonment for five years, for grievous bodily harm three years. The resulting difference in maximum penalties between manslaughter (which attracted a sentence of penal servitude for life but was later reduced to a term of 25 years) and culpable driving causing death, was therefore set at 20 years. This difference the Court of Criminal Appeal later called `too great a gap’ leaving a sentencing judge with `insufficient scope for what may be thought to be an appropriate penalty for the offence’ . The penalties remained unchanged until 23 December 1994. In all cases of culpable driving, and for all cases of dangerous driving under the new regime, licence disqualification is mandatory and additional to the penalty . The offence of culpable driving was committed when death or grievous bodily harm ensued from the driving of a motor vehicle (1) under the influence of intoxicating liquor or of a drug (DUI), or (2) at a speed or in a manner dangerous to the public (Driving in a speed/manner dangerous) . Was imprisonment the normal outcome for a culpable driver? In 1992, in Hallacoglu , Hunt CJ at CL considered that statistics compiled by the Judicial Commission since the commencement of the Sentencing Act 1989 relating to culpable driving causing death did not support any argument that in every case or even in the `ordinary’ case a full-time custodial sentence was required . However, his Honour qualified this comment with the further observation that the statistics were [in 1992] `based upon too few cases at this stage to produce a reliable pattern of the sentences which have been imposed’ . The data for culpable driving gathered since Hallacoglu now provide a much firmer basis in which to consider his Honour’s observation. Indeed, JIRS now contains over 480 cases of culpable driving causing death, and Table 1 sets out data relating to those offences where death has been occasioned. These data show that imprisonment, periodic detention and community service orders (CSOs) were the most frequent outcomes. The use of imprisonment was heavily preferred (47%) when alcohol or other drugs were involved (DUI), while sentencers made greater use of bonds and compound penalties in cases of Driving in a speed/manner dangerous. In accordance with the data presented in Table l, Figure 1 sets out the minimum and fixed terms of imprisonment, and Figure 2 sets out the full terms of imprisonment imposed for both DUI and Driving in a speed/manner dangerous cases. For both DUI and Driving in a speed/manner dangerous, the median minimum term was 12 months and the median full term 24 months. While the distributions of both offences are not dissimilar, it should be noted that the likelihood of imprisonment for DUI was more than twice that of Driving in a speed/manner dangerous (see Table 1). Thirty-six (or 7%) of all culpable driving causing death cases were appealed . These cases comprised 13 Crown appeals, 14 sentence severity appeals, 2 appeals on both sentence and conviction and 7 appeals on conviction. Tables 2 and 3 show culpable driving causing death appeals by the type of appeal. 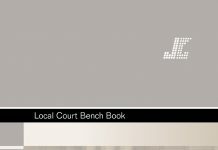 Crown appeals were nearly always upheld, whilst sentence and conviction and sentence appeals were upheld in only just over a third of the cases. Conviction appeals were relatively less successful. Of the 12 Crown appeals upheld, 3 respondents had originally received prison terms and 9 respondents had received non-custodial or periodic detention penalties (5 and 4 respectively). Of the 9 respondents who originally received non- or semi-custodial sentences, 3 subsequently received prison terms. 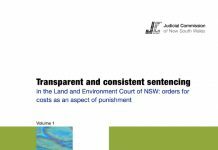 The other 6 respondents received the same penalty type but their durations were extended. There were more appeals for Driving in a speed/manner dangerous than DUI (30 compared to 6). This may be due to the fact that in cases where alcohol or drugs are involved there is usually more concrete evidence of the offender’s culpability (in the form of a blood or breath test), leading to more pleas of guilty, and consequently fewer appeals on conviction. As a general principle, the youth of an offender is a mitigating factor in sentencing. However, because of the prevalence of driving offences among young drivers who might not have acquired the relevant driving skills and who often appear reckless or irresponsible on the roads, there is a perceived need for public deterrence. It is not surprising therefore that youth is given less weight as a subjective matter in sentencing for culpable driving than for other types of cases . Figures 3 and 4 compare, respectively for DUI and Driving in a speed/manner dangerous, the range of outcomes for all offenders with that for offenders under 21 years of age at the date of the offence . Even though the youth of an offender is given less weight in mitigation of sentence for these offences, youths as a group were less likely to be given full time custody for each offence. This is because older offenders generally were likely to have longer or more serious driving histories. However, for each offence an older offender was more likely to receive a simple bond, while younger offenders were more likely to receive a bond with supervision. No young DUI offenders received a simple bond. For young DUI offenders as for older offenders, prison remained the most likely outcome. Periodic detention and CSOs each accounted for 20.5% of outcomes for all offenders, but periodic detention was markedly preferred in the sentencing of young offenders (33%). For young persons convicted of Driving in a speed/manner dangerous as for older offenders, CSOs were the most likely outcome. For young offenders, they accounted for 36% of outcomes, compared with 29% for all offenders. In April 1992, the Attorney General requested the Parliamentary Staysafe Committee to review offences in the Crimes Act 1900 in which a driver killed or inflicted serious injury on another person in a road crash, and in particular to review the adequacy of the existing penalties for culpable driving. The committee’s recommendations, which carried its members’ unanimous support , were contained in a report tabled in Parliament in March 1994 . The principal recommendations were the replacement of culpable driving with dangerous driving and a sharp increase in the maximum penalties for drivers causing death or bodily injury. Accepted by Parliament, they came into effect on 23 December 1994 .
in a manner dangerous to another person or persons . the driver was driving the vehicle to escape pursuit by a police officer . While driving under the influence of an intoxicating drug is not regarded as a circumstance of aggravation, this is currently the subject of government review . In the case of “ordinary” dangerous driving offences, the new maximum penalties have at least doubled those that existed under the old regime. In fact, the maximum penalty is now almost 3 times greater in the case of aggravated dangerous driving occasioning death, and almost 4 times greater in the case of aggravated dangerous driving occasioning grievous bodily harm, than the five and three year maximum terms that existed under the former offences of culpable driving. The Parliament also introduced the offences of negligent driving causing death or serious injury . The offence of negligent driving already existed, but the Staysafe Committee thought the introduction of these offences would receive community approval as an avenue `for the offender who has not driven in a manner dangerous to another person, but who has still killed a person through driving a motor vehicle, to receive a penalty that reflects the loss to the community’ . Table 4 sets out the new maximum penalties. It should be noted that the principle of double jeopardy applies to Crown appeals; if the appeal succeeds, any new sentence will sometimes still be less than that which ought to have been imposed at first instance . Since the commencement of the new regime, the Court of Criminal Appeal has heard four cases involving dangerous driving causing death. The cases are set out in Table 5. In each case, the offender had pleaded guilty at hearing and was aged 23 years or less at the date of the offence. The Court confirmed that principles of sentencing youths for dangerous driving were similar to those adopted previously. As well as these general principles, the Court, in Williams, considered s 6 of the Children (Criminal Proceedings) Act 1987. That section applies to offenders under 18 years at the time of an offence, and provides, in general terms, for special considerations to be taken into account by a court exercising criminal jurisdiction over such offenders. 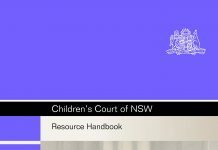 It includes the principle that `children who commit offences bear responsibility for their actions but, because of their state of dependency and immaturity, require guidance and assistance’ (s 6(b)). Sully J, with whom Gleeson CJ and McInerney J agreed, did not favour a particularised application of the section to cases of this kind. His Honour thought the principles general and indicative, and that it was a misconception to see them `as having some talismanic quality that necessarily entails that a young person of 17 years and 11 months [the age in this case] who commits a serious criminal offence is to be dealt with as though he were a child in the colloquial understanding of that description’ . The Court has also heard one Crown appeal for 2 counts of aggravated dangerous driving causing grievous bodily harm. In this case, concurrent sentences of 300 hrs CSO were replaced by a sentence of full-time custody of 36 months with a minimum term of 18 months . Sentences imposed should be substantial and act as a public deterrent, particularly when death results . The principal focus should be directed towards the objective facts of the crime, and the subjective features are necessarily subsidiary, although these also must be given careful consideration . The greater the number of deaths or persons injured the graver the crime . A driving record demonstrating persistent refusal to appreciate the driver’s legal responsibilities on the roads is a matter of aggravation . Previous drink-driving offences may show that the present offence was not an uncharacteristic aberration but rather demonstrate a continuing disobedience of the law in relation to drink driving. This may also show that the prospects of rehabilitation may not be good . Mitigating factors have included: prior good driving record, previous good character, guilty plea, and genuine remorse . In the former, less punitive regime, the application of a s 556A disposition would generally have been regarded as inappropriate . It follows that its application in the current regime must be regarded as even more inappropriate. It has been emphasised by the Court of Criminal Appeal that the gist of culpable, and later, dangerous, driving causing death is not the driving alone, but that factor in association with the taking of a life . There is a vast range of circumstances and degrees of culpability in the offences coming before the courts. Sentencers must have regard to the mental element in the offence, the consequences or harm caused by the conduct and the factors particular to the offender. They must also keep in mind the social policy issues concerned with road safety, with the result that, in many cases, deterrence will prevail over traditional mitigating factors, such as youth. In the old regime of culpable driving, sentencing officers used a wide range of outcomes including imprisonment. For alcohol related culpable driving offences, full-time custody was imposed in almost half the cases. Young offenders were less likely to receive full-time custodial imprisonment, though clearly, whenever alcohol was involved in the offences, imprisonment remained the preferred option of the courts. When bonds were imposed for culpable driving, bonds on young offenders were more likely to be accompanied by a requirement for supervision. In advocating the regime of dangerous driving, the Staysafe Committee stated that it was `critically important to recognise and retain the court’s sentencing discretion’ and declined to recommend mandatory minimum penalties . 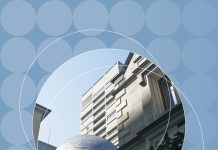 Nevertheless, the Court of Criminal Appeal has noted the intention of Parliament that existing sentencing patterns `are to move in a sharply upward manner’ . The appeal cases to date, each involving a young offender, already suggest that effect is being given to that intention. Indeed, it is anticipated that the outcome of sentencing in these cases will reveal a sharp increase, not only in the proportion of cases attracting imprisonment but also in the duration of the terms of imprisonment imposed. Conversely, courts will find it increasingly difficult to justify the imposition of non-custodial sanctions for these offences. See eg Savka NSW CCA, 26 Aug 1996, per Sully J. The statistics incorporate changes resulting from appeals. Local courts have no jurisdiction to hear offences under s 52A where death is occasioned. Cf Criminal Procedure Act 1986, Table 1 Pt 1 cl 2. Commissioner of Police Mackay, Evidence before the Legislative Assembly Select Committee upon Road Accident Casualties (1947-1948), set out in Report No 25 of the Parliamentary Staysafe Committee (Staysafe 25, Mar 1994), Appendix A. See also Attorney General v Bindoff (1953) 53 SR (NSW) 489, at 490, cited by Kirby P in Jiminez (1991) 53 A Crim R 56, at 62. Manslaughter remains the most serious charge for this type of offence: see the Attorney General’s Second Reading Speech, Hansard, 27 Oct 1994, p 4794. Garlick (1994) 73 A Crim R 433, at 440 per Carruthers J. See also Heinrich (1992) 61 A Crim R 212, at 220 per Carruthers J. Traffic Act 1909, ss 10A(1)(a)(ii), 10A(5). Crimes Act 1900, ss 52A(1)(e) and (f) (repealed). (1992) 63 A Crim R 287. Compound penalties are usually a bond and a fine. None in these data include imprisonment. There were more appeals for the offence of culpable driving occasioning death than culpable driving occasioning grievous bodily harm and appeals where grievous bodily harm was occasioned were generally not successful. Eg MacIntyre (1988) 38 A Crim R 135, at 139 per Lee CJ at CL and Hallacoglu (1992) 63 A Crim R 287, at 295 per Hunt CJ at CL. The data for all offenders is as for Table 1. For those under 21, for DUI n = 30 cases and for Driving in a speed/manner dangerous n = 98 cases. Hon B Hazzard MP, Hansard, 10 Mar 1994, p 537. Staysafe No 25, Mar 1994. Crimes (Dangerous Driving Offences) Amendment Act 1994 and the cognate Traffic (Negligent Driving Offences) Amendment Act 1994. Crimes Act 1900, s 52A(1) dangerous driving occasioning death, or s 52A(3) dangerous driving occasioning grievous bodily harm. Crimes Act 1900, s 52A(7) sets out the circumstances of aggravation which apply to s 52A(2), aggravated dangerous driving occasioning death; and s 52A(3), aggravated dangerous driving occasioning grievous bodily harm. “Longer jail term in drug-drive review”, The Sydney Morning Herald, 17 Apr 1997. Traffic Act 1900, s 4. Comptroller-General of Customs v D’Aquino Bros (1996) 85 A Crim R 517, at 538 per Hunt CJ at CL. Williams, NSW CCA, 17 Dec 1996. Savka, NSW CCA, 26 Aug 1996. Slattery, NSW CCA, 19 Dec 1996, per Gleeson CJ. MacIntyre (1988) 38 A Crim R 135. Speer, NSW CCA, 11 Dec 1990, per Hunt CJ at CL at 4. Wilkins (1988) 38 A Crim R 445. Swadling, NSW CCA, 25 Mar 1993, per Carruthers J at 4. Scicluna, NSW CCA 19 Sep 1991, per Hunt J at 4. Baker, NSW CCA, 26 Nov 1992, per Gleeson CJ at 12, citing Lord Lane CJ in Boswell (1984) 79 Cr App R 277, at 281. Manwarring, NSW CCA, 13 Apr 1994. MacIntyre (1988) 38 A Crim R 135, at 139 per Lee CJ at CL, Murnin, NSW CCA, 16 Aug 1985, per Street CJ. This has been adopted as an appropriate view in the new regime. See Slattery, NSW CCA, 19 Dec 1996, per Hunt CJ at CL, Ngo, NSW CCA, 15 Nov 1996, per Gleeson CJ. Slattery NSW CCA 19 Dec 1996, per Hunt CJ at CL. See also the Attorney General’s Second Reading Speech, Hansard, 27 Oct 1994, pp 4792-4794.